Add elegance and beauty to any indoor or outdoor space with hanging garden pots! Sturdy Construction: Made from durable polypropylene to be weather-resistant. Hidden: Clay pot hanger virtually disappears once pot is hung. Easy Installation: Can be attached to virtually any vertical surface in seconds. Social Media Sensation: As seen in magazines, on television, and online. Looking for the best deal? Our pack of 50 garden pot hangers gives you the most value for your money! With its quick and easy installation, adding beauty and color to your space takes only a matter of seconds. While Hang-A-Pot makes for great deck hangers and vertical gardening, its uses are not limited to just the outdoors. In addition to enhancing your exterior space, wall-hanging flower pots inside your home and indoor gardens created with Hang-A-Pot are sure to be a topic of conversation amongst your guests. With Hang-A-Pot, the design and decorative options are endless. 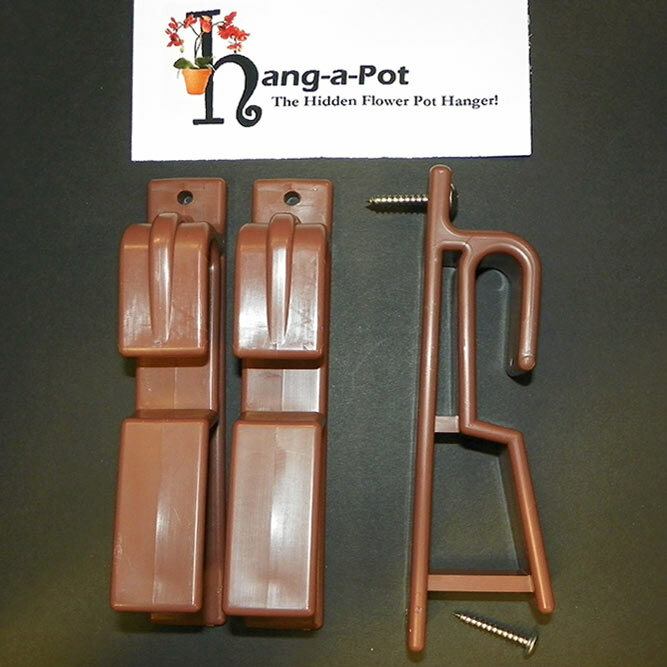 Get the flower pot hanger that professional interior designers and landscapers have used on TV! Order yours today!